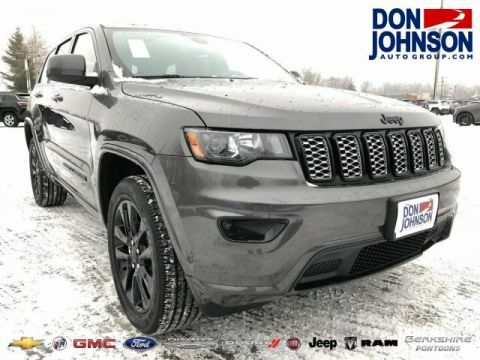 Drivers understand that the 2018 Jeep Grand Cherokee is going to offer boundless capability and daring backcountry performance, but they’re often blindsided by the versatility, comfort, and downright luxury of the interior. From heated front and rear seats to flexible seating, it’s a cabin able to accommodate all five passengers without a word of complaint, even during longer journeys away from northwestern Wisconsin. Keeps you connected to phone, entertainment, and available GPS navigation using either a standard 7-inch or available 8.4-inch touchscreen display. The new Jeep Grand Cherokee’s bold exterior is complemented by a finely crafted cabin, with upscale materials drawing inspiration from the world’s most iconic landscapes. 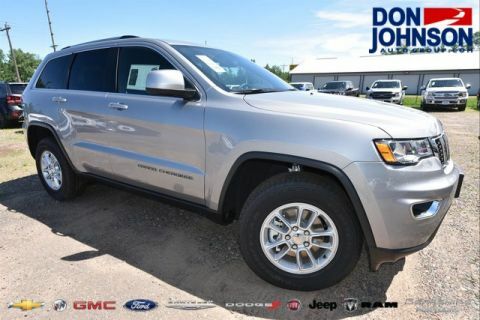 This go-anywhere SUV fits around your needs in more ways than one with standard 60/40-split folding rear seat and available fold-flat front passenger seat. audio during every journey for first-rate entertainment. 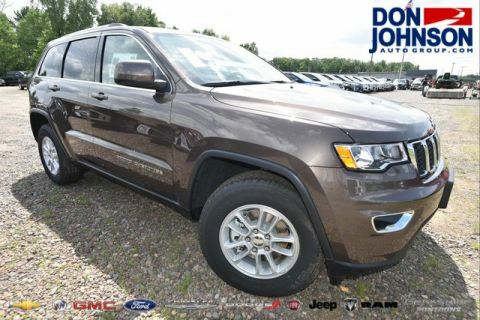 The 2018 Jeep Grand Cherokee interior achieves supreme practicality without sacrificing luxury. In a design masterstroke, natural hues are used across the cabin, with lush materials available in configurations as diverse as black with ruby red accent stitching to pearl with sepia accent stitching. 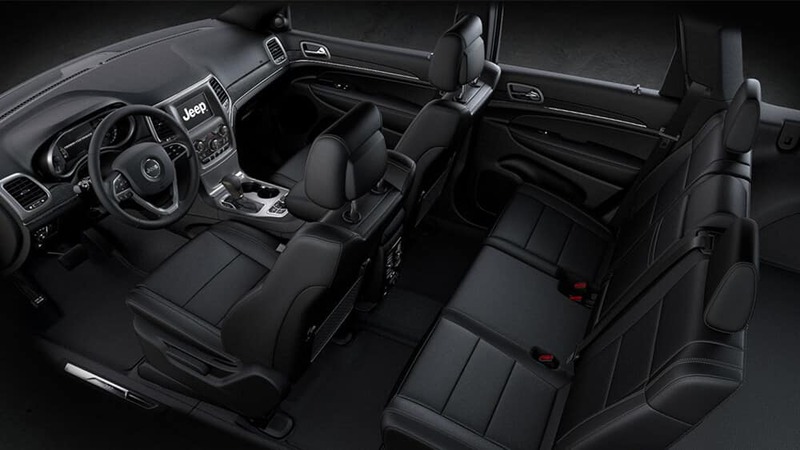 But the new Jeep Grand Cherokee is still focused on usability, with up to 68.3 cubic feet of cargo space behind the first row and handy storage solutions across the interior, including a smart dash-mounted nook for everyday items. With Bluetooth connectivity, the option of two USB ports, and available leather-trimmed bucket seats, you can always be comfortable and connected. When the cold sets in across Rice Lake, Cumberland, and Hayward, use the available heated steering wheel, heated front seats, and heated rear seats to stay nice and relaxed. 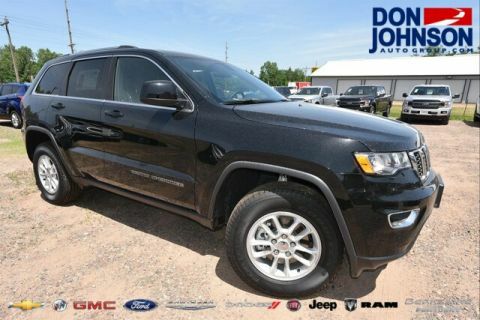 The 2018 Jeep Grand Cherokee interior will appeal to your practical nature while fulfilling your yearning for the finer things in life. Whether you need financing advice or want to arrange a test drive, contact us today.